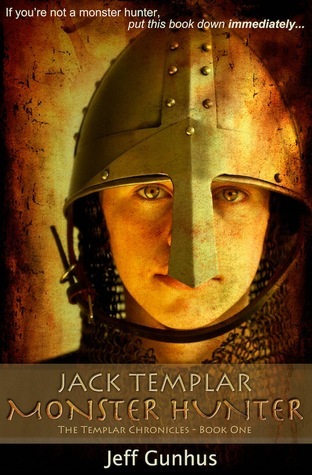 Posted on October 16, 2014 by Evan G.
Jack Templar is just an ordinary 13 year-old boy. His biggest concerns in life are girls, growing pains, and trying to keep decent grades at school. The day before his 14th birthday, Jack wakes up astounded to find that he has gained superhuman strength, not unlike Peter Parker in the Hollywood Spiderman film. That morning in his garage, he lifts a 48lb dumbbell with one hand. Then, on the way to school he makes an easy slam dunk. He also impresses his crush by beating up a bully in front of the school. He is definitely loving life! Then, disaster hits! His school Principal turns into a bat creature and threatens him. He then bumps into a 3,000 year old vampire and goes on to save a strange girl from being killed by a troll. As the day goes on, he finds himself fighting for his life against spirits, demons and monsters galore. This exciting book reveals the author’s point of view about survival of the fittest and how friendship conquers all. Gunhus also shows how some sacrifices are worth making and some aren’t. This epic novel causes the reader to think about other possibilities, about how many things go unnoticed in the world. There is a whole civilization of monsters in his story that has gone unnoticed by the human population. It makes fun of how many little details or big happenings occur without anybody ever knowing. I would recommend this book because of the main character’s realistic reactions and the overall authentic tone of the story even though it is make believe. It is appropriate for all ages since it is pretty clean considering it is a book about hunting monsters. I absolutely loved it! This entry was posted in Book Reviews and tagged adventure, fantasy, jeff gunhus by Evan G.. Bookmark the permalink.